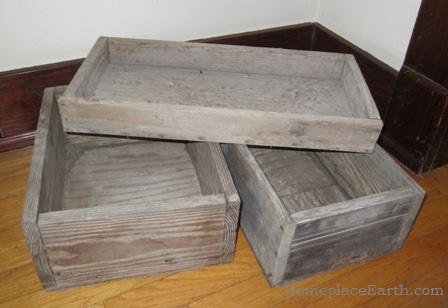 Homemade wooden flats for seed starting. If you have been following my work, you know that I start my seeds outdoors in coldframes, rather than indoors in flats. 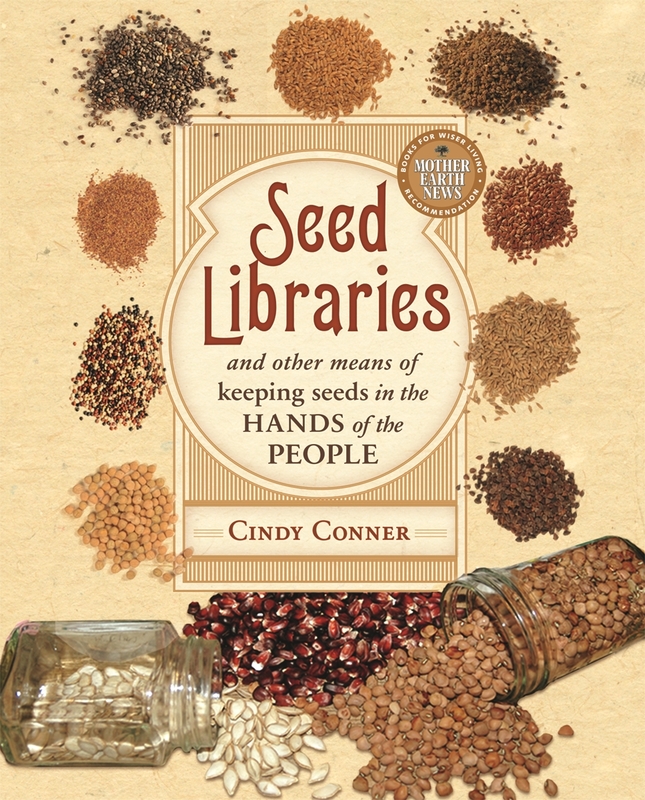 However, it was not always that way and, since I have fielded questions about seed starting lately, I thought I’d pass on the seed starting methods I employed when I did use flats. For many years, when I started seeds for transplants I would use recycled containers or plastic flats and their inserts for the soil mix and seeds. In 1992 I became a market gardener, selling produce to two local restaurants. I knew I needed a better way to produce seedlings and followed Eliot Coleman’s advice in New Organic Grower to use soil blocks. I made wooden flats to the specifications in the book. We have a table saw and plenty of scrap wood, so the only out-of-pocket cost for the flats was for nails. The flats had only three sides to facilitate removing the soil blocks. After a few years of working with soil blocks I decided I needed to produce more transplants in the same space, plus I didn’t want to buy sand and peat moss for the mix. In fact, I didn’t even want to bother making the mix. I did like the idea of wood flats, though. So, I turned to the advice of John Jeavons in How To Grow More Vegetables (HTGMV). The soil mix he recommends is half soil and half compost, which I already have in the garden. 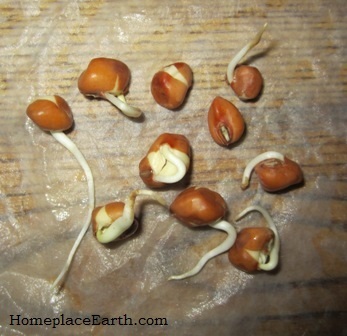 Fill a wooden flat, level it off, and plant the seeds—much easier than making soil blocks. I put a fourth side on all my soil block flats and made some new flats to the specifications in HTGMV. The flat on top in the first photo is a Coleman flat with the fourth side added. You can make flats any size you want, but first think of how and where you will use them. The Coleman flats were sized specific for soil blocks with the inside dimensions 8 x 18¾” and 2” deep. That was just right for 36 two-inch soil blocks. The inside dimensions of a Jeavons flat is 14” x 23” and is 3” deep. There are Master Charts in HTGMV that indicate how many transplants of each crop that can be started in a flat that size. If you depended on those Charts for your planning, you would want to make that size flat. Filled with moist soil, the Jeavons flat would weigh about 45 pounds. The depth of the Coleman flat is 2”. The depth of the Jeavons flat is 3”. That might not seem like such a big deal, but it is. Although I continued to use the Coleman flats, I preferred the Jeavons flats for the depth and saw that the plants did better with the extra space for their roots. If I used the Coleman flats, I had to pot-on the transplants to deeper containers sooner. I think my ideal flat would be closer to the Coleman dimensions, but 3-4” deep. However, the deeper the flat, the more soil mix is needed. Jeavons recommends making 6”deep flats half the size of his regular flat to transfer seedlings to that need to grow for a few more weeks before planting in the garden, such as tomatoes and peppers. A full size flat that was 6” deep would be too heavy to manage easily. You could also make 3” deep half-size flats. Summer transplants enjoying the shade under the tree. I stopped experimenting with flat sizes when I realized that I could just plant the seeds in the coldframes and dig up the transplants to plant in the garden. 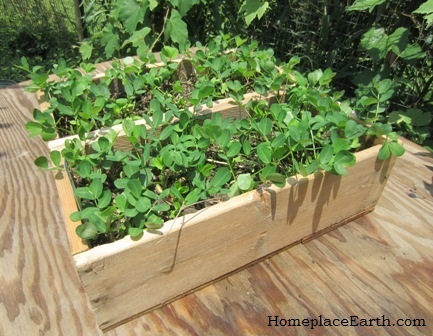 Sometimes I use wood flats to put my coldframe grown seedlings in until time to set out into the garden. 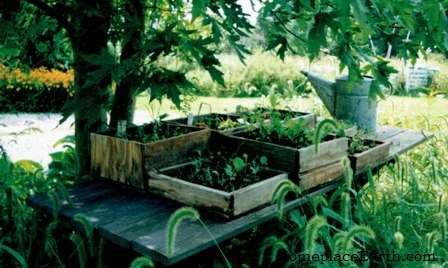 I might do that if I need the space in the coldframe or to protect the seedlings from insects. Caterpillars occasionally take out my peppers in the coldframe, so I watch for the seedlings to come up, then transfer the seedlings to a flat. I want the seeds to germinate in the coldframe and begin to grow there so they will be acclimated from the beginning. When I pull out the seedlings for the flats I can choose only the best and wouldn’t have wasted flat space on ungerminated seeds or poor seedlings. Sometimes, however, if the seedlings need more space and I have it in the coldframe, I’ll spread them out there until time to go into the garden. If I do put seedlings in the flats, they stay outside until transplanting. Peanuts started in wood flats ready to be transplanted in the garden. I transplant corn and peanuts and have to be careful about where I start the seeds to make sure voles don’t eat them before they germinate. Sometimes I’ll use wood flats for that. The photo with the peanuts shows flats 6” deep, but with Coleman’s dimensions. Peanuts germinate quickly and were not going to be in there long so I didn’t fill the boxes with the soil/compost mix to the full 6”. However, their roots would have quickly outgrown the 2” deep flats. When I was selling at the farmers markets I discovered that a 6” deep half-flat made a good container for potatoes at the market. It held about 15 pounds of spuds. Although I no longer sell at the market, I still do quite a bit of gardening to feed my husband and me, as well as experiment with new things. I like to take advantage of the rhythms of nature and do things that involve less work and less stuff. Starting seeds in the coldframes fits in well with that philosophy. However, if I need them, the wood flats are handy in my shed. I still have the flats I made in 1992, minus the ones I passed on to my daughter and daughter-in-law to use in their own gardens. UPDATE: More about wood flats at Mother Earth News.